14 Şubat 2019 Perşembe 13:01 - 3 reads. "OF, the Swedish work environment authority"
"the Large increase in the Polish construction crew in Sweden"
"the Number of foreign workers who work a limited time in Sweden increases significantly, according to the Swedish work environment authority." "A big part is the Polish construction crew – and it is also the category that increases most." "– this is probably because we are inside a strong building boom. Around the country are in progress, both very large, as large and small construction projects, says Arne Alfredsson, acting head of department at the Swedish work environment authority." 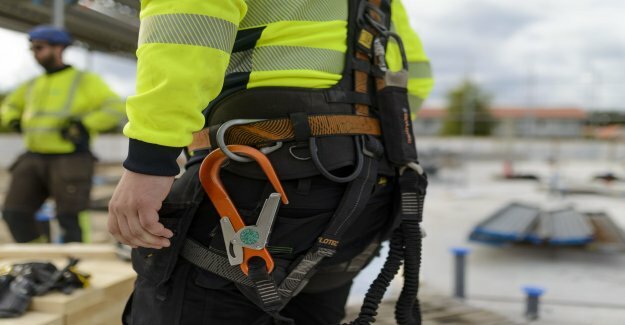 "a Total of notied 106 799 foreign workers to the Swedish work environment Authority utstationeringsregister in the last year, compared with 72 552 the year before. This is the largest increase since the register was introduced six years ago." "It's about people who are employed in other countries but who were temporarily sent to Sweden by their employer to work." "most foreign workers come from the construction industry and the percentage of increase. In the last year, worked six of the ten posted in the construction sector." "Poland is the country that sends the most workers in Sweden. Just over four out of ten workers, or 46 400 people, come 2018 from Poland. It can be compared with the countries of the second and third place, Lithuania and Latvia, which had just over 7 000 workers each." "the Polish workers also account for a large part of the increase in 2018. The number of Polish workers increased by 74%." "– the Demand is high. Polish workers are usually normally seen as skilled craftsman, " says Arne Alfredsson." "A large proportion of foreign workers is also in the field of information and communication. It is mostly about the indians." "– It is a great speed on the digitization and India is one of the greatest countries in the world when it comes to computer programming and computer consultancy, the level. There are also several large Swedish companies established in India and sending the hit staff for different types of work, " says Arne Alfredsson." "the Swedish work environment authority, whilst noting that it is unclear whether the increase of foreign workers is a real increase, or whether it is about awareness is growing and employers become better at to report." "There are also a number of unreported cases." "– In most cases, it is likely if the companies and organizations that do not really are aware of what the legal framework prescribes. But it can also be people who are here for other reasons, and work is black, says Arne Alfredsson." "the Countries from which most foreign workers come from 2018:"
"Source: the Swedish work environment authority"